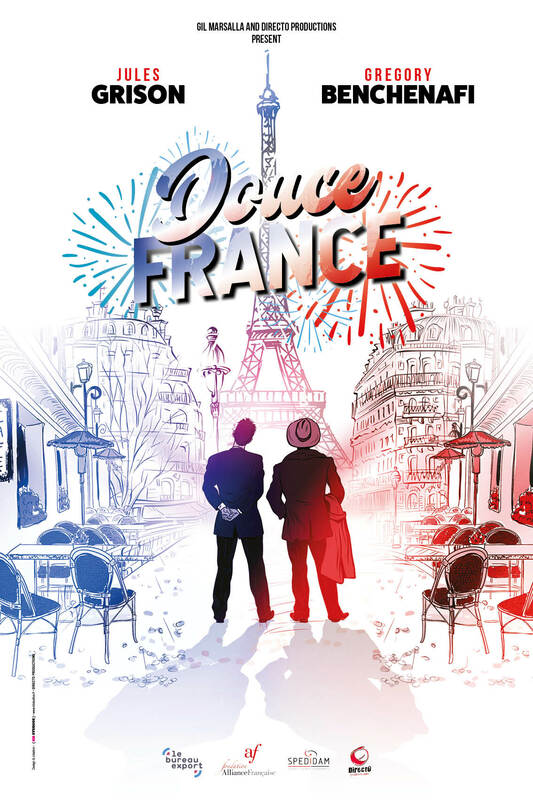 Set in the streets of Ménilmontant in 1950’s Paris, Douce France tells the story of François, a waiter in a Parisian café, and Jef, his friend who has just returned to France after a long period traveling abroad. Their friendship is reignited and strengthened thanks to their shared passion for French music. With this new show, Gil Marsalla wanted to put the spotlight on the treasures of this era of great singers including Jacques Brel, Georges Brassens, Charles Aznavour, Maurice Chevalier, Charles Trenet, Serge Gainsbourg and Gilbert Bécaud. These great poets of song have left their mark on music throughout the world.